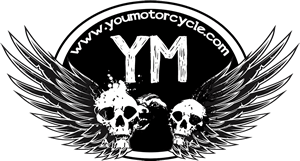 Captain Crash has been been making videos to help motorcyclists improve their skills for over half a decade. He’s also written a couple books about it. Don’t let the name fool you, Crash is a great guy to learn from. His videos are informative, encouraging, and upbeat. 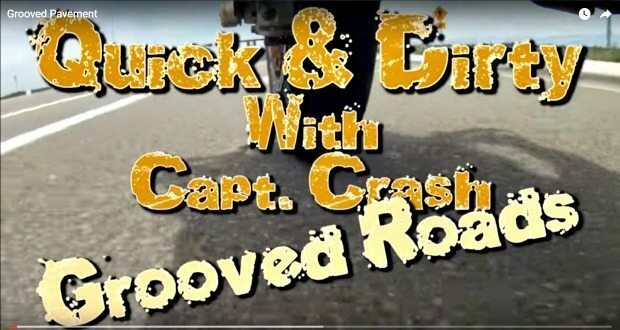 In this video, the good Captain shares tips on how to ride a motorcycle on grooved roads. For the video, Crash uses his 300 lb Suzuki DRZ-400 motorcycle. The motorcycle’s light weight makes it more reactive to bumps, potholes, and ripples in the ground. 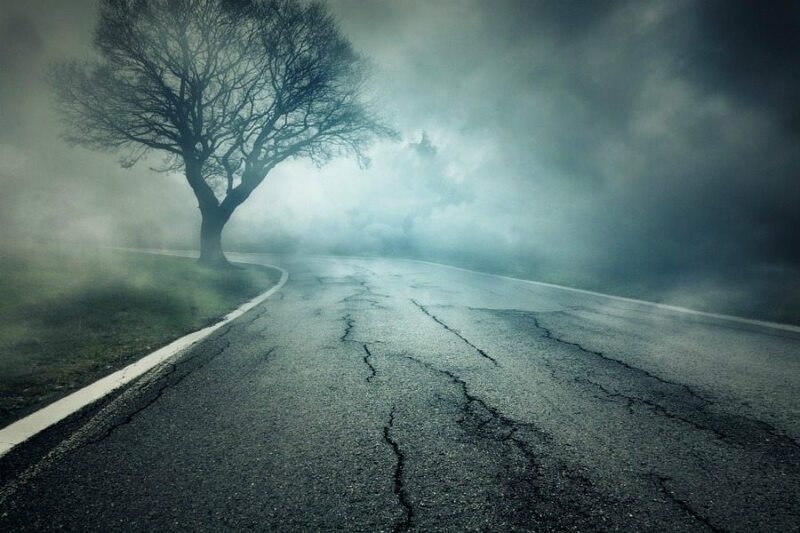 Crash admits that riding on grooved surfaces can be “a little bit of an exciting experience.” We’ll go one step further and say that on your first time riding a motorcycle on grooved roads it’s cool to feel like you’re going to brown your pants. The reason I wanted to share this video was because of the great job Crash does at illustrating the difference between what’s happening at the bottom of the bike versus at the top: At the point of contact, the uneven pavement is only causing a faint wobble, however by the time the effect reaches the handlebar, several feet up, the effect is amplified. The motorcycle “isn’t shaking, swaying or trying to kill you,” Crash assures us. And he’s right. The bike is simply wobbly ever so slightly down low at the point of contact, but you feel it worse because you’re sitting on top of it. The feeling the rider gets from the handlebars is actually much more dramatic than what’s really happening down low. An extra degree or few in one direction or another has minimal effects on your motorcycle’s handling, but the higher up your handlebars are, the more it’ll feel like the bike is all over the place. Your arms are at the end of a long lever, so the feeling is amplified even though the motorcycle is ok.
Next: Motorcycle Trailer Accessories You Need – Towing Tuesdays!